What does it mean when a golfer "misses the cut" in a golf tournament? It means the tournament continues without that golfer. When you "miss the cut," you're out—you don't get to play the remaining rounds because your score didn't meet the standard to continue. A golfer can only "miss the cut" in a stroke play tournament; match play tournaments don't have cuts. 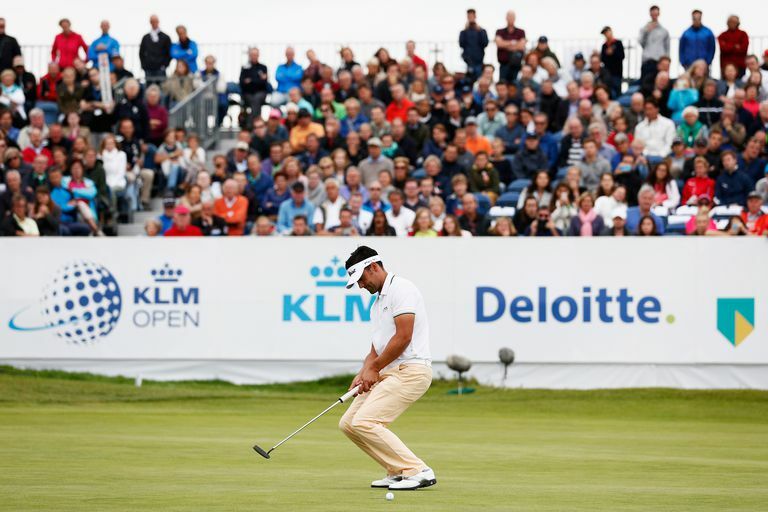 Why remove the lower (approximately) half of golfers from a tournament? It's about making golfers earn their places in the final round or two rounds. Or it can be a way for professional tournaments to make their final one or two rounds more manageable in terms of player and fan movement around the golf course, pace of play and convenience for television networks. The score a golfer needs to be at or above to avoid missing the cut is called the cutline. Those golfers who are at or above that score "make the cut." They continue playing until the tournament's end. Those golfers below the cutline "miss the cut," and their play of the tournament ends at that point. How Often Do Pro Golfers Miss the Cut? Missing the cut is a fairly routine thing even in the top ranks of professional golf. Even the very best golfers miss a cut or two (or more) during a season in which most play 20-25 tournaments. For example, when Jordan Spieth was PGA Tour Player of the Year in 2015, he still missed four cuts during the season. Mark O'Meara was Player of the Year on the PGA Tour in 1998, and missed three cuts. And in 1985, to give one more example, Player of the Year Lanny Wadkins missed three cuts. Generally, the better the pro golfer, the fewer times he or she misses the cut during a season and career. After all, a golfer who misses too many cuts during a season is at risk of losing their tour membership (because missing the cut means not earning money or points toward those ranking lists). But some golfers have also been famous for not missing cuts. On the PGA Tour, Byron Nelson held the record for decades after going 113 tournaments in a row from 1941-48 without missing a cut. Tiger Woods broke Nelson's record in 2005 when he made his 142nd consecutive cut. But Nelson and Woods were pikers compared to Jane Blalock, who once went 299 consecutive LPGA Tour tournaments without a missed cut. What Does It Mean When a Golfer Is Called a Good Ballstriker?